I’ll avoid any talk about the weather…except to say I love the forecast for the weekend ahead (sunny days with temps in the mid-upper 70’s). And I’ll avoid any talk of the storms that hit Chicagoland on Tues. evening…except to say we really lucked out in Hoffman Estates (only .25″ of rain and minor wind damage). Considering there were reports of flooding issues and major power outages in communities very close (Wheeling and Des Plaines), you can see why I feel fortunate that the golf course came through unharmed. With the U.S. Open just recently concluded and all the talk about green speed and stimpmeter readings, I included a picture of the stimpmeter above to give those not familiar with it a look. 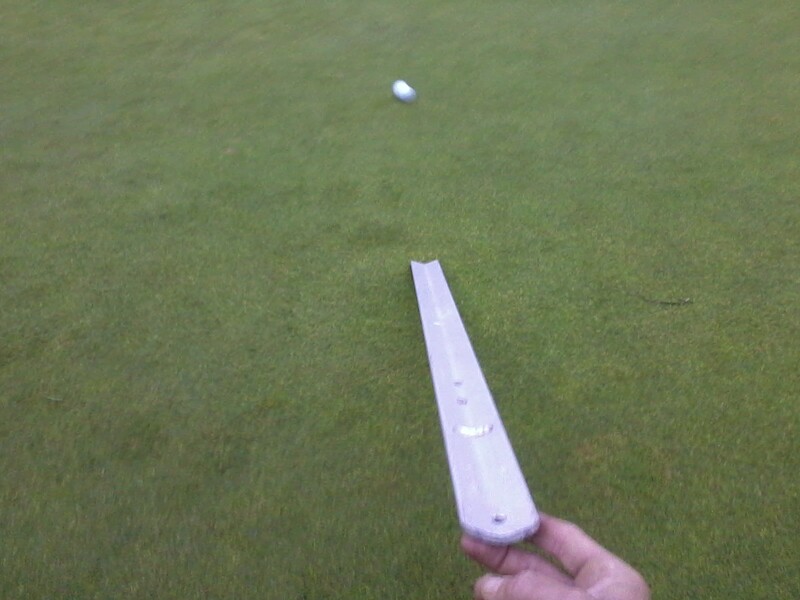 This tool works by laying a golf ball in the notch at one end of the bar (stimpmeter) and then slowly raising the bar until the ball rolls off. You then measure the distance in feet that the ball rolls (it’s good to use 2 or 3 balls and take an average), and whalla…you have a green speed reading. At Hilldale, we post the day’s green speed reading by the 1st tee for those of you interested in knowing prior to your round of golf. This entry was posted on Thursday, June 23rd, 2011 at 9:40 pm and is filed under Uncategorized. You can follow any responses to this entry through the RSS 2.0 feed. You can leave a response, or trackback from your own site.